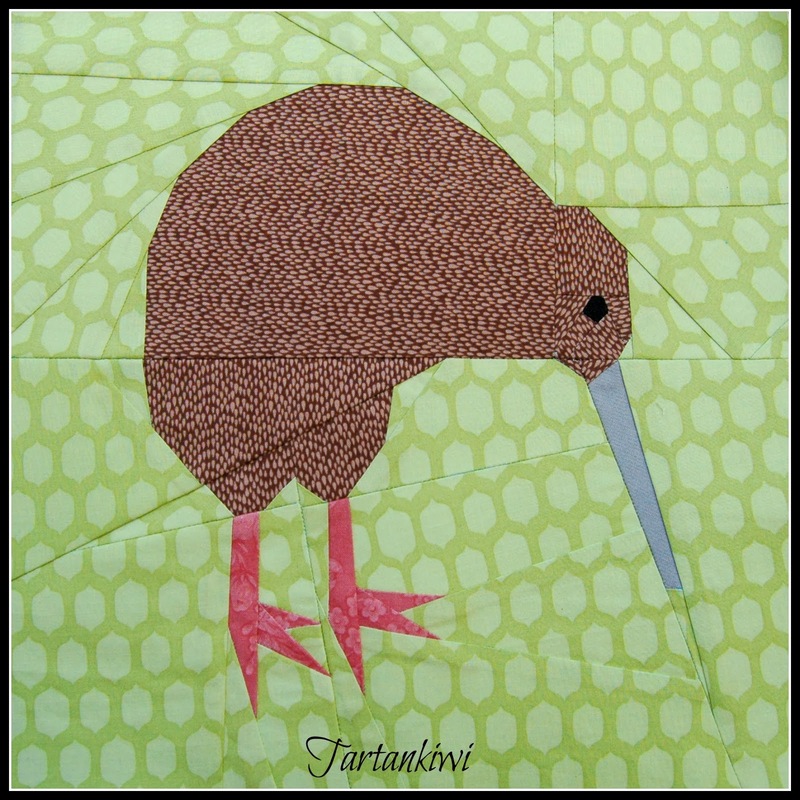 I was a bit nervous about sewing the kiwi for my bird quilt. Somehow it seemed a bit plain and boring next to the intricate piecing of many of the other blocks. I dreamt up all sorts of ways to add texture to the body, but in the end decided to keep things simple and the only change that I made was to add an eye. I'm glad that I didn't overly complicate the block. I quite like the simple bird in among the intricate ones. I think he's going to take pride of place in the centre of the quilt. 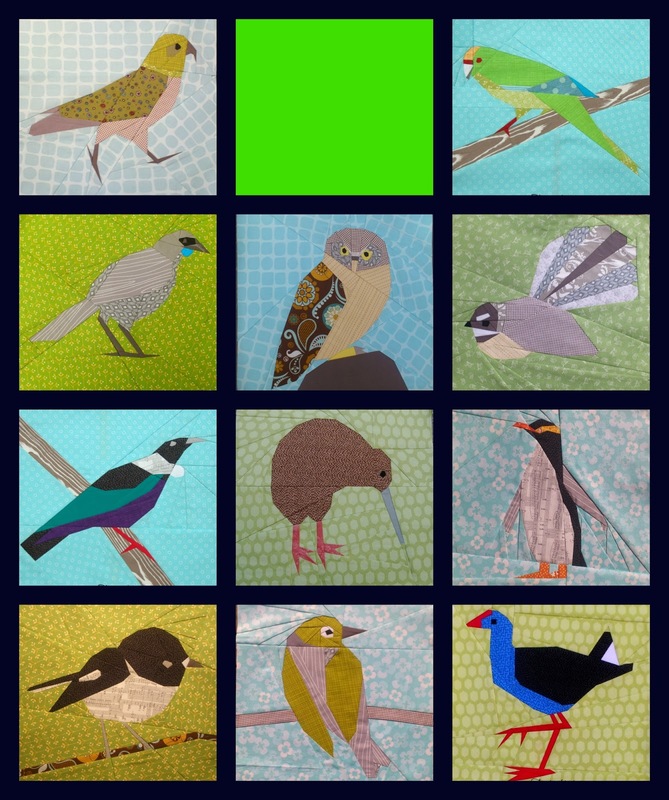 With just one bird (the kereru) to piece, my thoughts are now beginning to turn to the question of how to turn these blocks into a quilt top. My original plan was just to do a sashed grid, but the more that I think of it, the less that I want to do that. To me it feels wrong to force nature into a regimented grid, so I'm trying to think of a more organic type of layout. This is where it helps having EQ7 to play with. I'm not sure that any of these will be the finished layout, but they give me a starting point which is always important! The centre block wouldn't be this big. It would perhaps be slightly enlarged but would have a border around it. What do you think of these layouts? Do any of them catch your eye? Or should I just sash the birds and stop agonising?! I'm also indecisive as to which colour to use for the background colour. 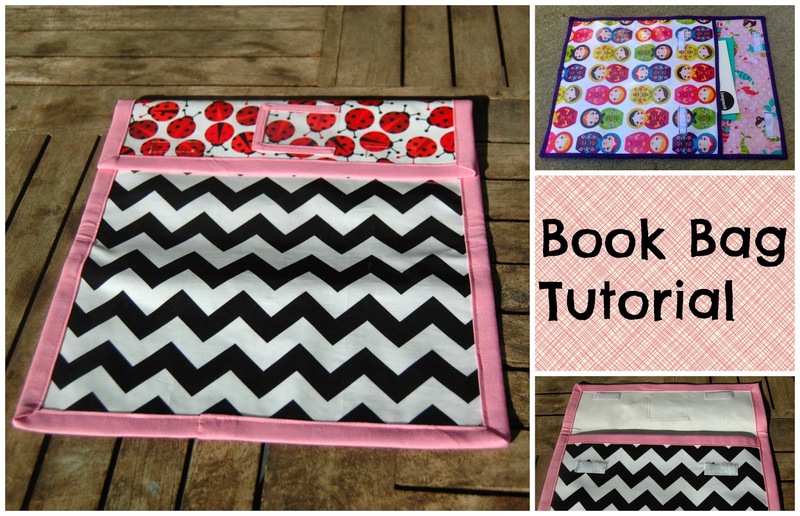 The obvious choice would be grey, but I feel as if I've done lots of grey quilts recently. I don't want to get stuck in a colour rut, so I'm trying to think of a different colour to use. I want something bright and fun that won't overpower... Hmmmmm... I'll keep thinking, but I'd be all ears if someone has a suggestion! 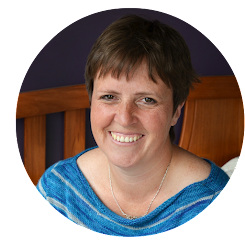 I'm joining in with Lee over at Freshly Pieced. I really like the first option with the birds kind of randomly placed. I think they need a bit of space around them so you can appreciate each lovely bird. I love the kiwi, in fact I love all of them! I do like the simple sashing myself. As Megan says it gives you space to appreciate them. I love the kiwi. I like the first organic looking arrangement you had….even though I was planning on doing something a little along the lines of the blocks around a center block. I like the first of the new layouts. It's almost like they're in the forest, and I'm the birdwatcher. I like how the layout let's your eye naturally rest on each one in turn. Your kiwi looks great - the fabric choice wasinspired too - very close to looking like real feathers on one. These are amazing - I love them! I think you're right about the sashed grid being too regimented it takes the life out of your wonderful birds a bit. I like all the other layouts especially the first and second - wonder what the central block one would look like with sashing between the individual birds. so sweet, I love the first layout! I really like the first layout you did with EQ - the kindof random one. I think it depends what gray you do. You could do a really soft one with a blue tint to it. Or a soft grey/blue print on white. Your kiwi is too cute! And all those paper pieced birds? Amazing! In terms of the layout, I like the first one where the placement of the birds has them floating instead of all lined up with sashing. But that's just me! absolutely gorgeous! I would also place them more organically, but could you almost make it like a scene with a tree and all the birds in/around it? That would be neato. Love the kiwi! I like the second layout the best. LOVE the randomness of the quilt lay outs not the grid and that is saying something for the OCD in me !! !! !! The kiwi is wonderful. Have to say, I am drawn to the first, random layout. "Feels" like the birds are in a natural habitat. Nice work! Will be interested to see which layout you choose. I like the one with the big parrot- is it a hawk? in the middle. I am the only one so far, and I do think all of the layouts have great points about them. so any would be lovely. The kiwi isn't a flashy bird so I think you have done a great job of him.